To mine the last Bitcoin, you will need almost all the computers on Earth, says Sagteware.NET. 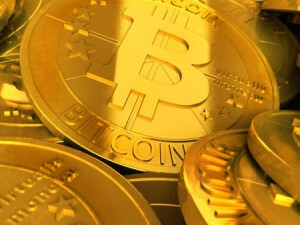 Johannesburg-based software company Sagteware.NET has developed cryptocurrency called Number42, looking to dislodge established platforms like Bitcoin. Number42 is a South African cryptocurrency based on blockchain technology, with every transaction in the Number42 ecosystem being recorded on the public ledger system. "Development of Number42 started in October 2016, and we had a few months of intensive testing. From May 2017, Number42 was available publicly on NovaExchange.com for trading both via Bitcoin and Litecoin," says Gideon Louw, a software developer at Sagteware.NET. He explains Number42 is a decentralised system that is open to anyone interested in joining the exciting world of cryptocurrencies. "Basically, any user will just need to download a Number42 wallet, have an Internet connection, and they will theoretically be running a Number42 node." According to Louw, Number42 is different to Bitcoin in that it does not require intensive hardware to operate as miners to verify transactions. "The system has been developed so that anyone that just has an Internet connection and the wallet open will act as a miner, and those people will verify the transactions. This way of verifying transactions is called in technical terms proof-of-stake." He points out Bitcoin was a great cryptocurrency when it started in 2009, and many people made good profit buying some Bitcoins then for a few cents. "Bitcoin works on a model called proof-of-work, a model basically designed in such a way that you need a lot of computer processes to mine and verify transactions on the Bitcoin Blockchain Network. They say to mine the last Bitcoin, you will need almost all the computers on Earth together to get it. "With Number42, we work on a completely different model called proof-of-stake - a model very similar to a bank, keeping funds for a specific user and then giving them yearly interest on the money." Louw notes more South Africans are beginning to use cryptocurrencies. "People are searching for alternative cryptocurrencies to Bitcoin where the processing time is much faster than the current 10 to 45 minutes in Bitcoin transaction processing time."